Clockwise from top: Store bought roast pork, braised giant meatballs, store bought chicken, chicken soup, aromatic pumpkin with pork floss, scallion and ginger dipping sauce for chicken, braised shark fins, steamed fish with scallion and garlic oil. 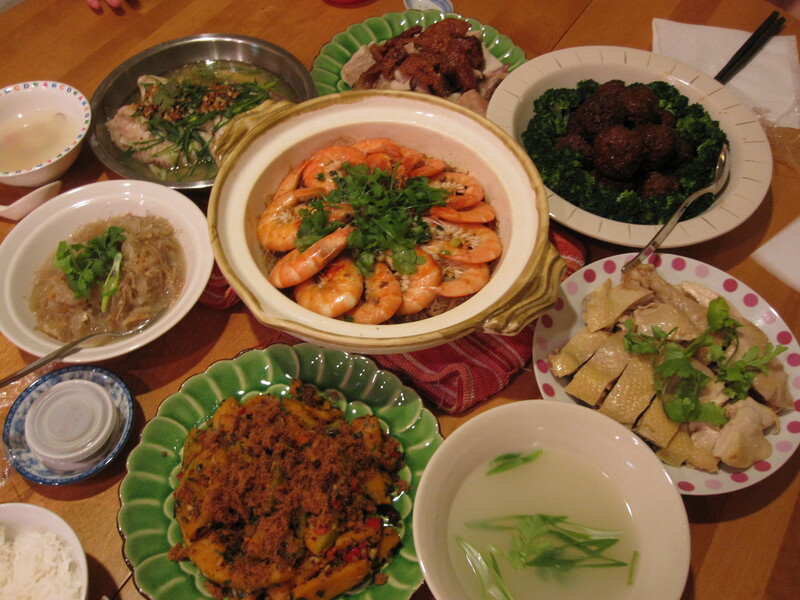 In the center: shrimp and clear noodle claypot. This is a lot of food for us (2 adults, 3 young children) but we managed to finished it all in 2 days. I didn’t spend the whole day in the kitchen but instead I chose easy food for the menu. It was a very good dinner.